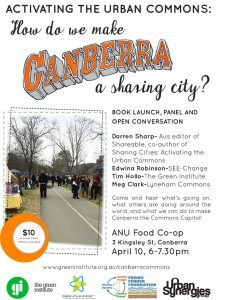 Activating The Urban Commons: How Do We Make Canberra A Sharing City? Book launch, panel and open conversation. Book your ticket now! Date & Time: 6:00 pm – 7:30 pm, April 10, 2018. Location: ANU Food Co-op; 3 Kingsley St; Canberra. 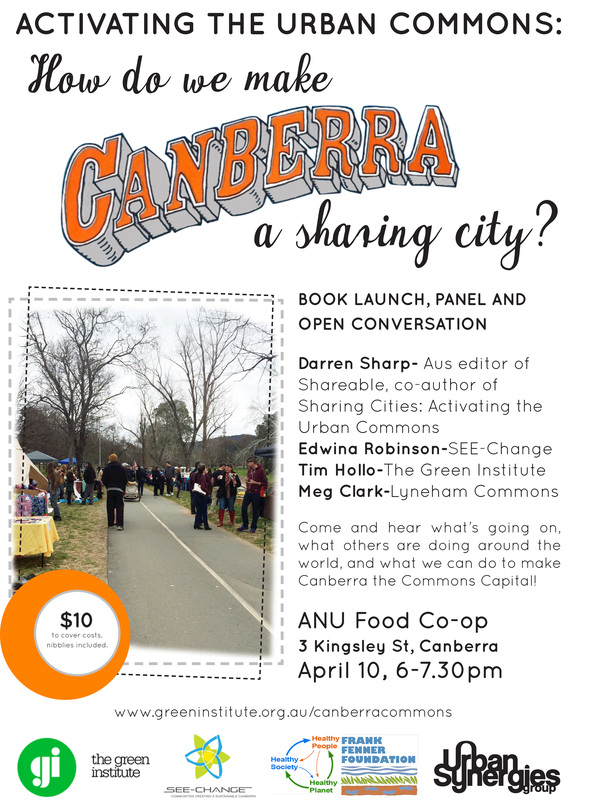 Come and hear what’s going on, what others are doing around the world, and what we can do to make Canberra the Commons Capital! $10 to cover costs, including nibblies.